#OnThisDay, May 20, 1775, the first Colonial Declaration of Independence was written, or was it? But even though the authenticity of this document is disputed, the spirit behind it isn’t. Let me explain. When we think about the revolution we usually think about the great gathering in Philadelphia in 1776, the Declaration of Independence, and the names of Franklin, Jefferson, Washington, and Adams. But that meeting wasn’t the beginning of the Revolution; it was an end result of many previous movements and ideas. When people of that day thought about independence, they didn’t think about it in terms of the nation, but in terms of their own commonwealth. In other words, what took place in Philadelphia was the result of a grassroots movement, a local-level movement. It was a bottom-up movement, not a top down movement. Between April and July of 1776 over 90 “Declarations of Independence” were written by townships and counties throughout the States. Think about that – there were over 90 local declarations written the three months before Jefferson wrote on his hallowed parchment. The revolution wasn’t the creation of the Continental Congress; it wasn’t a central government plan. This fierce spirit of liberty began with individuals and townships. Townships are the smallest units of government, yet they produced the largest benefit – the Revolution. Think about that. This was not a national directive, it was a local one. The people in the town wanted posterity to know what the Town did to preserve the freedom and happiness of unborn generations. 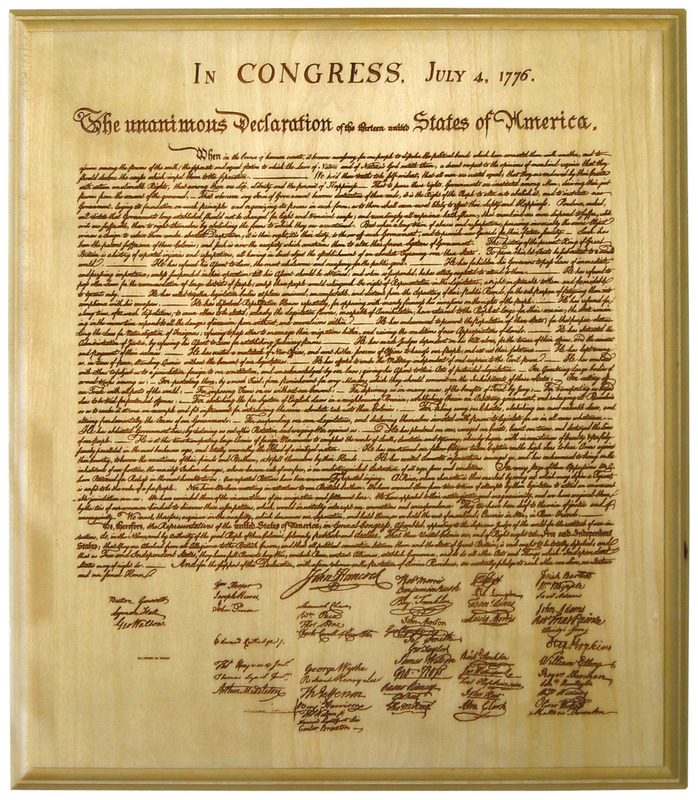 On this day, May 20, 1775, the first “Declaration of Independence” may or may not have been made in Mecklenburg, North Carolina. It probably wasn’t. But what we do know for certain is that on April 13, 1776, North Carolina became the first State to instruct its delegates to take part in the Continental Congress declaring independence. So even if the May 20th event isn’t true, the spirit behind it is. The American Revolution wasn’t a top-down central government directive; it was a bottom-up grass roots movement.